New Delhi : Announcing the cancellation of registration of over one lakh companies and identification of 37,000 shell firms for suspected generation of black money and money laundering, Prime Minister Narendra Modi on Saturday warned of "more tough action" against firms helping in hiding unaccounted wealth. Addressing chartered accountants gathered from across the country, he asked them to do some soul searching and weed out elements who assist those stashing money abroad and evade taxes. "If you know anyone with black money, warn them that they will not be spared," he told the CAs who kept cheering him through his 45-minute speech at an event organised by the Institute of Chartered Accountants of India (ICAI. Modi disclosed that data mining post demonetisation so far showed that over three lakh registered companies indulged in suspicious dealings. "Those stashing black money abroad are going to face further difficulties. You CAs tell them the law. I have launched two cleanliness campaigns - one for cleanliness and the other for cleaning up of the economy. Post-demonetisation data mining is on continuously (in banks). "The activities of over three lakh registered companies have raised questions. This number may go up. Forty-eight hours before the launch of GST, the registration of one lakh companies was cancelled and 37,000 shell companies have been identified for suspicious activities," he said. "People with black money will face more difficulties when Switzerland begins automatic information exchange on real-time basis with India in two years," he said, adding the impact of steps to check black money was clear from the last year's figure of Swiss banks where Indians' money deposits have gone down by 45 per cent. The Prime Minister warned of further action against law breaking companies, saying strong steps have been taken against those who indulged in generating black money, hawala transactions and behind-the-scene activities. Modi said that this shows the character of the current political dispensation. "It is not an ordinary decision. Those who do political calculations could not have taken this." Telling the CAs that they were no less patriotic than others, he asked them bluntly, "would not some of your own community have helped those thieves and those who looted the country? Couldn't you identify them? Those who held their hands and showed sympathy with them, have you identified them?" "The signature of the Prime Minister does not carry the same weight as yours. Your signature in audit reports is sacred. It is a testimony of truth and trust. On your signature poor people invest money in mutual funds and companies and when they collapse, the poor also collapse. Do not let this trust be destroyed or impacted," Modi said. The Prime Minister asked the "economic doctors" to marginalise those who err professionally. He said there are 2.72 laks CAs in the country and over two lakh Article Assistants. Along with others associated in the profession, the total of the community comes to eight lakh people. "There are two crore engineers and over two crore visited abroad for tourism. But only 32 lakh people are declaring income of over Rs 10 lakh annually. Can anyone of you believe this? Crores of vehicles are being purchased in the country." 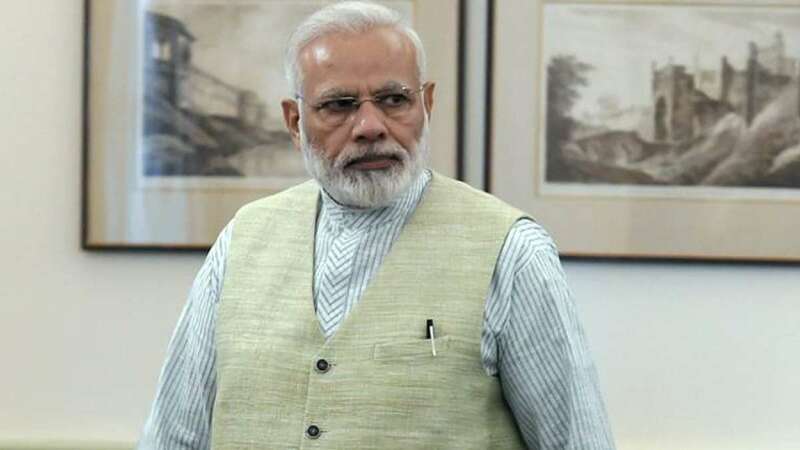 Raising questions before the community of CAs, Modi said while they conduct their own examinations, issue certificates and take disciplinary action, he had noticed that only 25 CAs have been acted against in several years. "I am told there are a lot pending matters in this regard but such a situation in a highly qualified community is a matter of concern. After 1947, today the country is preparing for a new journey with one nation, one market, one tax. During Independence struggle, eminent personalities who were lawyers gave up their practice and joined the fight for freedom sacrificing their youth. "Now you have a role laid out before you. As ambassadors of change, you have to usher in the economic freedom by upholding the principle of what is right and rejecting what is wrong. "Today we are at an important point in history. After Independence and country's unification, the country is beginning a new journey towards economic integration. The biggest responsibility is of CAs in the transformation towards eliminating black money, corruption and tax evasion." He said GST is for national reconstruction and it is for the CAs to help in realising it. Modi said CAs also have a big role in the implementation of the Bankruptcy and Insolvency law enacted recently and they can make a big career from insolvency practice.